The mission of Breathing Space is to support healthy families through yoga and wellness education. Breathing Space yoga classes include age-appropriate postures and movement, breathing exercises, meditation or mindfulness activities, games, songs and even art for for children, from newborn through the teen years. We offer weekly classes, camps and other programs at a variety of community partner locations near Capitol Hill as well as at schools around the Washington DC area. Our wellness programs support families during the transformative time of pregnancy, birth, and early childhood. Offerings include parenting education, breastfeeding support, infant massage, and baby sign language. When Jen became a mother, her yoga practice became even more important: for building strength and flexibility, as relief for the symptoms of pregnancy and then the stresses of parenthood, as a reminder of the miracle of the human body and of her own resources and capabilities, and a regular connection to her breath and true Self during a time of significant identity changes. Her weekly Itsy Bitsy Yoga encouraged her to embrace her daughter in the same loving, non-judgmental way that her own practice did for herself. 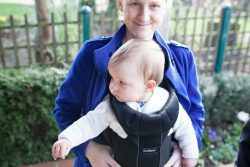 After thoroughly enjoying baby yoga classes during maternity leave and being unable to find one in the neighborhood that fit her work schedule, Jen stumbled on a listing for Itsy Bitsy Yoga facilitators training . . . and signed up. That turned out to be the first step on the path that lead to Breathing Space Family Yoga. 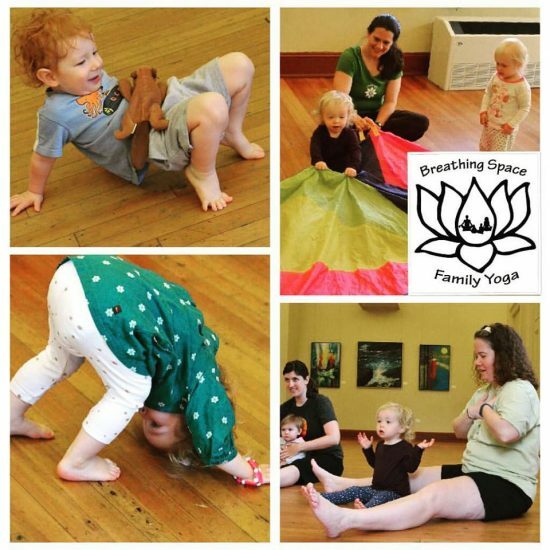 Jen founded Breathing Space to create hub for family yoga on Capitol Hill and share her enthusiasm for age- and developmentally-appropriate poses, games, and songs with yogis of all ages. Find out about our instructors, classes, locations, mobile programs, and more by exploring this site. *replace the [at] with @ and [dot] with . Looking to offer feedback on a class? Fill out an online Yoga Class and Instructor Feedback Form. Tax Season? Looking for our EIN? You’ll find it near the address on your purchase receipt. If you can’t locate your receipt. Please send a request by email. Questions about what to expect in class, refunds or other policies? See Tips for New Students or Class Policies for common questions. The best way to stay up to date on classes, workshops and other yoga-related news is by joining our mailing list. Join our mailing list to receive the latest news and updates from our team. Indicate your interests to customize your updates! Amazon Affiliate Link Disclaimer: Breathing Space is a participant in the Amazon Services LLC Associates Program, an affiliate advertising program designed to provide a means for sites to earn advertising fees by advertising and linking to amazon.com. You will find this disclaimer duplicated and affiliate links noted where relevant.